Our daily local newspaper announced it's shuttering today. 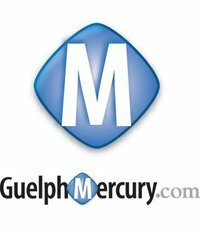 After 149 years in print, The Guelph Mercury will end on Friday. I've had so many thoughts come fast and furious while seeing other people's reactions, reading the press release, hearing the cries for local news. My feelings are so complicated around this. First, let me say, I know some very good people who lost their jobs today. In the end that is really the only thing which matters. Journalism is not a job with a lot of security nowadays, and it is a job with a glut of people competing for what's left. Guelph is also a city with an incredibly low un-employment rate, and what feels like an impossibly low selection of quality jobs. Not only did very good people lose their jobs, it's highly likely they've also lost their home because they will need to go elsewhere to work. I think many people know my feelings around traditional media. We broke up about 6 or 7 years ago. I started listening to podcasts in 2005. I started getting my pop culture criticism online, my news online, my education online. In 2008 I started watching shows made exclusively for internet broadcast. I cut the cord on my cable and only in the last 2 years has network television pulled me back with superhero shows. The Guelph Mercury is very traditional media. Just because I have (we all have really) seen the end of traditional media for years does not mean I rejoice in this. It really upsets me to see not only our local paper, but papers and broadcast news (remember CHCH friends?) all over Canada struggle and close. After almost 200 hundred years of one model it becomes almost impossible to change. I don't think people who worked in the Mercury bullpen, or in the ad sales division even, didn't want to embrace change, but they were in an atmosphere where innovation was not encouraged. Over the day I've seen many people suggest starting their own newspaper. I'm glad to see that so many people think that daily local news is really important for our community. But I'm also insulted on behalf of the many great journalists who have lost their job today. The closing of the Guelph Mercury today, and the way the industry has been cutting corners for years, is not costing us access to local news. There are so many ways to get that. What we are losing is intelligent and readable analysis of what is happening in our community. I'm all for citizen journalism, but just stating the facts is not journalism. And just sharing your opinion is also not journalism. Real journalists end up somewhere in between, taking all the facts, their opinion and the opinions of people important to the issue and helping you understand all the sides. I'm not happy today at one more death in traditional media. And I'm not happy that yet again a valuable resource can't adapt to the new atmosphere. The world doesn't change in one day, it's through little events over the course of years, until you turn around and realize nothing around you is the same as it was before. But for those few who keep moving forward without looking around, it comes as a huge shock when you realize you don't fit here anymore. And that's what is happening to traditional media right now. I think Jaron's book introduced to me so clearly what is happening to entities like our local newspaper, a very excellent read. If you'd rather not read the book or the review, I think some of his ideas are captured in the video from Steve Paikens/TVO/Agenda. Media is always a very sensitive topic if you ask me. Things can get really out of hand by the simplest of things.It is important we never lose our morals in the way.